When it comes to a wedding there are many things that need to be planned and bridal wear fast becomes a priority. Wedding dress, tuxedo or suit need some care and attention? We offer a range of services to help you make your big day as special and stress free as possible. 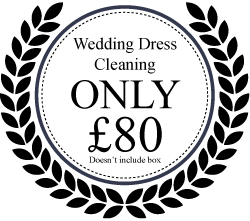 Ask staff for details on our wedding dress dry cleaning special offer.